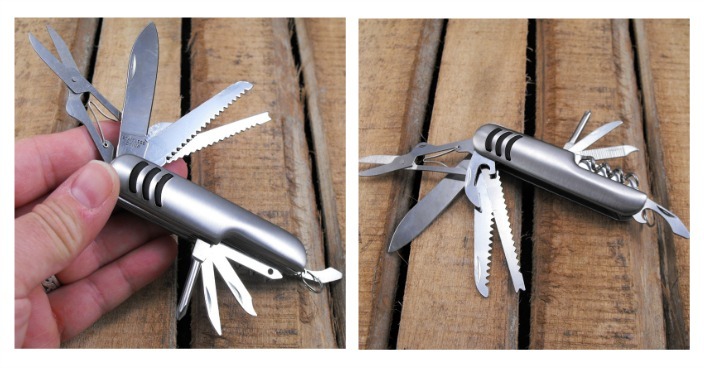 2 Pack 17 Function 11 Blade Pocket Knives Just $1.90! Down From $25! You are here: Home / Great Deals / 2 Pack 17 Function 11 Blade Pocket Knives Just $1.90! Down From $25! 13 Deals has this 2 Pack 17 Function 11 Blade Pocket Knives on sale for $1.90 (Reg. $25)! If you’re looking for a truly nice knife that’s perfect for all kinds of activity, like camping, hiking, survival challenges and more then look no further! This knife has all you need to make it day to day in any environment..